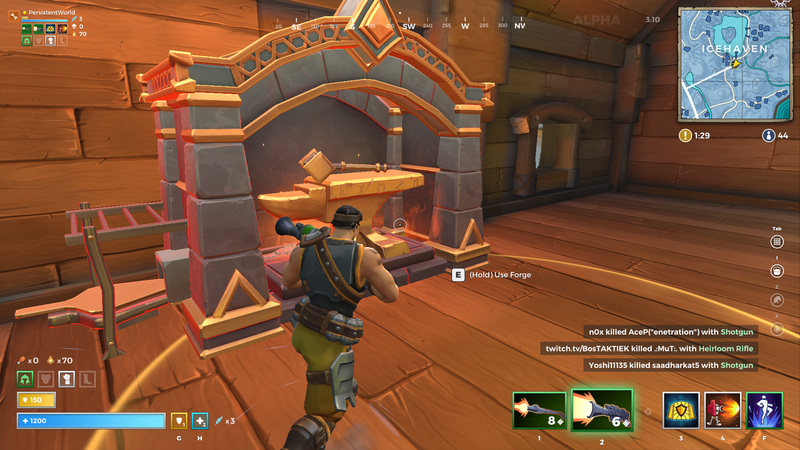 The Forge and Shards are an incredibly important part of Realm Royale. Use of both is paramount to achieving success and being the last man standing, as they provide access to powerful weapons, armor and abilities. Ignoring the Forge, or failing to regularly obtain Shards, will see your potency - and survivability - become incredibly limited. Always disenchant useless items. The shards gained will help you gain better items quickly. 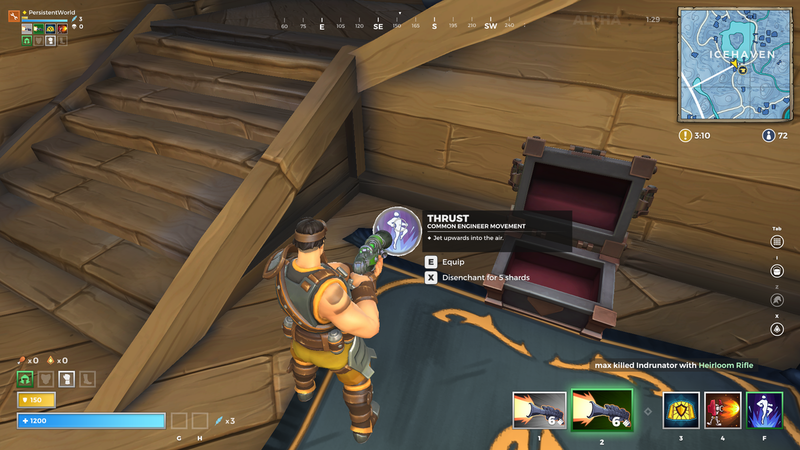 Shards are a currency in Realm Royale that you obtain from disenchanting weapons, armor or abilities that you don’t need (just press X on them). Doing so will instantly provide you with a Shard, which is automatically added to your inventory. With each player only able to carry a maximum of 200 Shards at any one time, there’s a permanent incentive to ensure you regularly spend your currency. Failing to do so will see many items you come across going to waste, while the trail of discarded goods is also a clear sign to others that you - or someone else - is nearby. Ideally you want to always disenchant anything that’s not of value, and the moment you’ve amassed enough Shards, head to a Forge. When crafting, and irrespective of what you choose to create, a Forge will make a great deal of noise and smoke will always plume from its chimney stack. Regardless of where you use a Forge, you should always be prepared for a fight and I’ve found, it’s best to stay near to the Forge itself to use it as cover (rather than the adjacent rooms). Be aware you can craft multiple items at once, and enemy players can swoop in and pick these up when they’re created, even if you are still alive. Finally, always aim to create Armor as quickly as possible as this will provide you with a significantly improved amount of mitigation. Follow this up with a weapon so that you then hit hard, while also being able to withstand a beating. To read the latest guides, news, and features you can visit our Realm Royale Game Page.